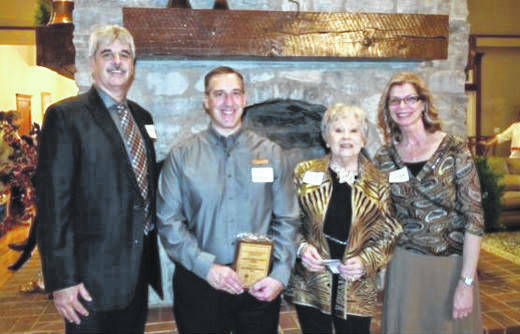 GALION — The Community Foundation for Crawford County thanked their donors with an Evening of Philanthropy last week at the Aspen Terrace Clubhouse in Galion. Contributors from throughout Crawford County gathered to enjoy food, drinks and socializing. The recipient of the 2017 Spirit of Philanthropy Award, Libby McPeek, presented the 2018 award to the Timken Foundation. She explained that in 1984, the Timken Foundation offered a $300,000 contribution towards the formation of the Foundation IF the community could raise $100,000 in return. The community did more than just meet that challenge – they rallied and raised $250,000, and the Foundation was born. A generous supporter of both the Foundation and many other good causes in Crawford County, the Timken Foundation also contributed the money that provided the Foundation with their first and current permanent office location in Bucyrus in 2012.
and creating their own fundraising page to share. In 2017, The Community Foundation for Crawford County contributed over $633,500 in gifts, grants and scholarships right here in Crawford County. The Foundation’s mission is to support collaborative, impactful and philanthropic leadership that provides quality and lasting investments in our community, now and for generations to come.